A mixture of some things we’ve done, with web design, social media and SEO. For quality website design in Ayrshire and beyond, our clients have trusted Websites Ayrshire to deliver to their requirements. 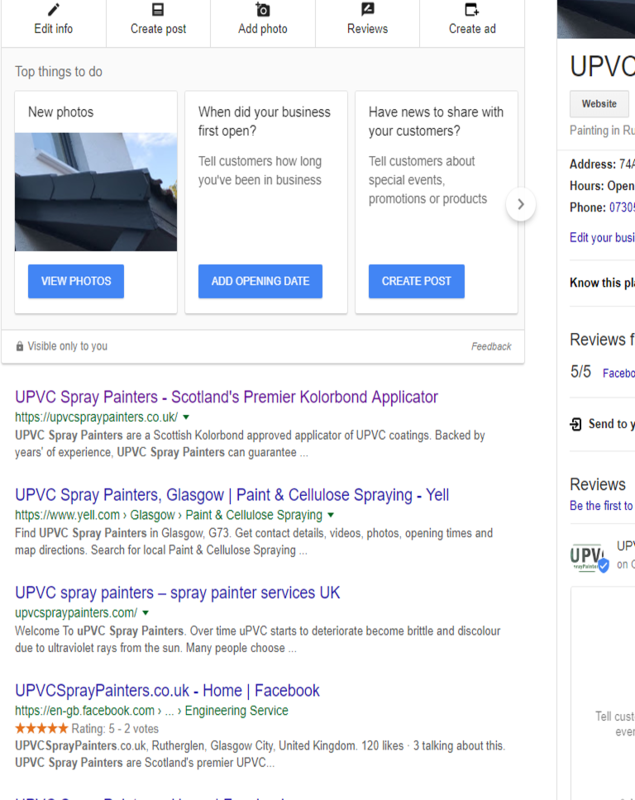 UPVC Spray Painters were a start-up business focussing on the fierce residential spray painting market. Building them something that would challenge competitors and allow customers to see how their house might look were the key areas of requirement. As always, we worked closely with the businesses key staff and delivered according to their needs. 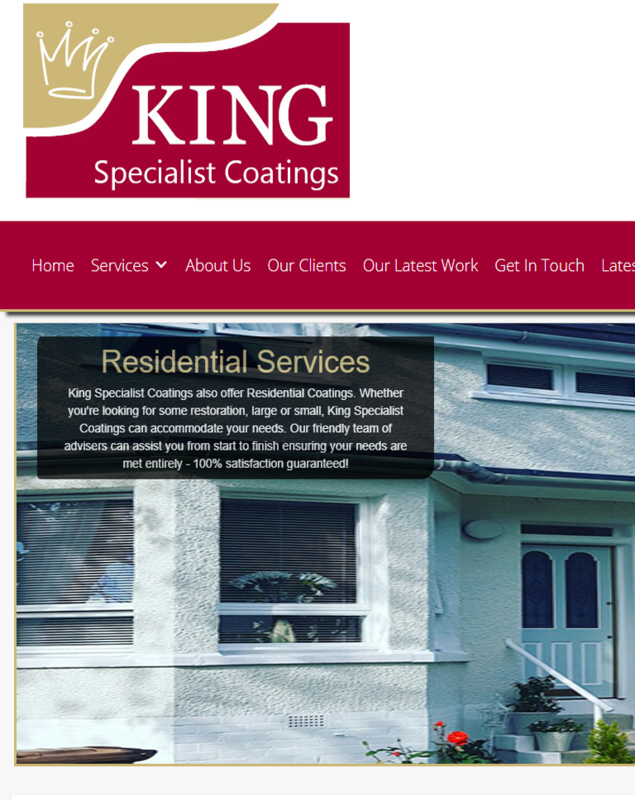 King Specialist Coatings were looking for a robust and “industrial” website to promote the services they offer. As a UK-wide company, their requirements were broad and challenging. Websites Ayrshire worked through web design and SEO techniques to deliver a solution that is both eye catching and resourceful. 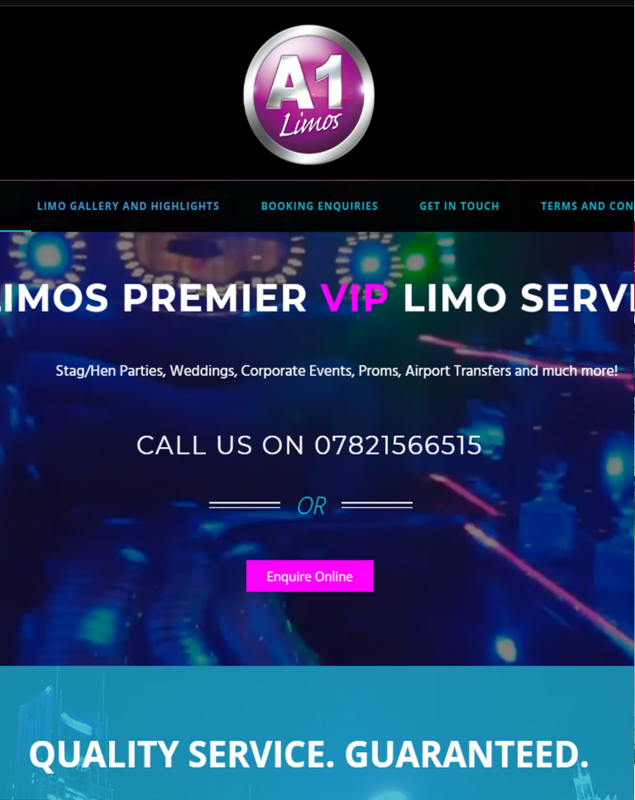 A1 Limos wanted and exciting and easy-to-use website. Their website had to be able to handle enquiries and showcase the services they offer. Working closely with the owners of A1-Limos, we were able to produce something both pleasing to the eye as well functional and simple to use. At SMart and WebsitesAyrshire.com we strive to build productive and content driven social media platforms. 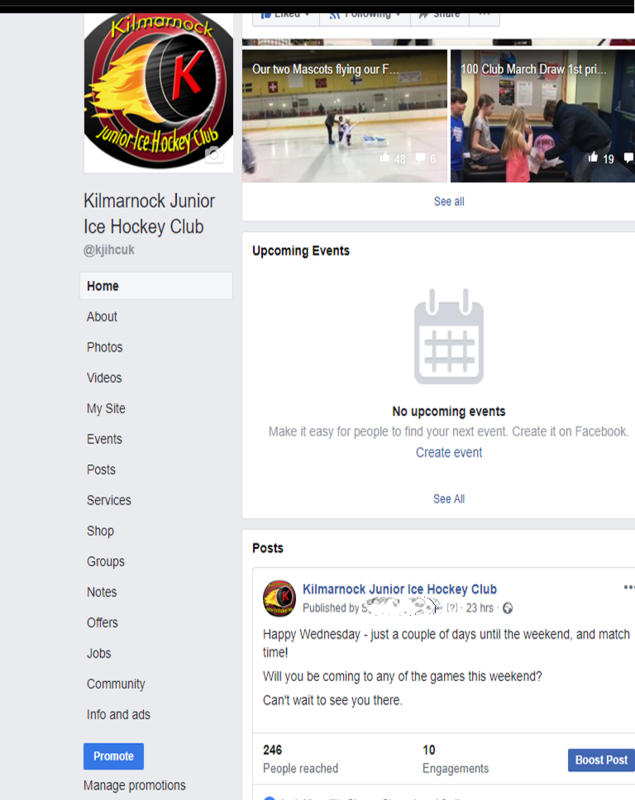 Working alongside Kilmarnock Junior ICe Hockey Club, we have worked to create and build upon a successful platform allowing them to engage more directly with followers and fans. 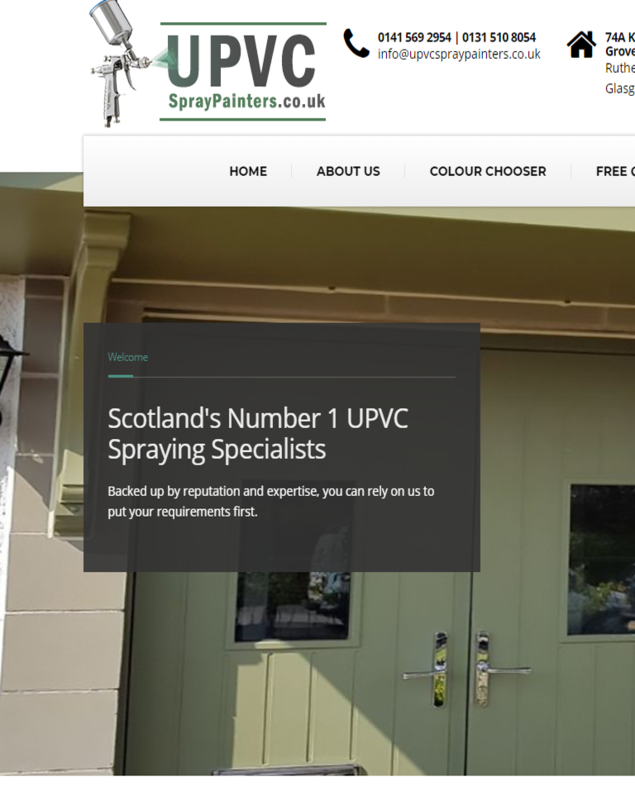 Building upon the website design requested by UPVC Spray Painters, we were thrilled to be able to help them with SEO. Getting them to the top of the rankings for their appropriate search terms was challenging but we were delighted with the results. 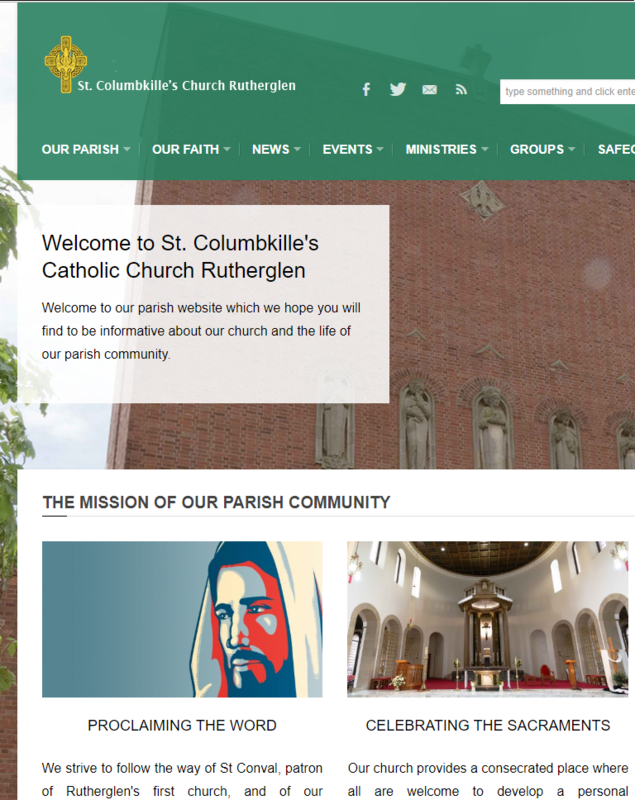 Building a website for a local parish church was a new challenge for our business, and we worked closely with the team and clergy at the organisation to build something that would connect with their wider audience – near and far. No Job Too Big. No Project Too Small. If you’d like us to use our expertise to deliver your project, we’d love to hear from you. We can be local or not so local. We trust we can build Websites and Android Apps to your requirements and will always reply quickly to queries.